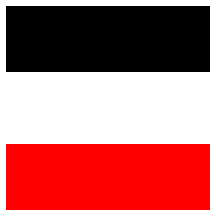 In 1914, areas on the Eastern Front under German control were organized into an administrative district governed by the Oberbefehlshaber der gesamten Deutschen Streitkräfte im Osten (Ober Ost), or Supreme Commander of All German Forces in the East. These areas included all or parts of Lithuania, Latvia, Estonia, Belarus, Ukraine, and Poland. In January 1916, the Ober Ost instituted a postal system for civilians in the Ober Ost administrative region. Postage consisted of a variety of issues, including overprints of local postage, specially designed issues, and local provisional printings. The Ober Ost postal system came to an end with the withdrawal of German forces westward at the end of WWI.